Kathryn Bertine. Photo via kathrynbertine.com. 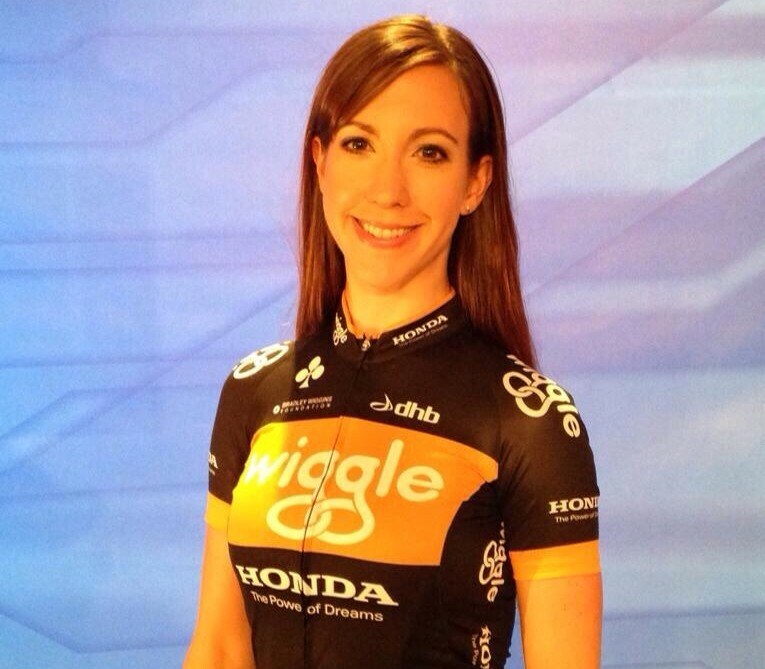 This year was big for women’s professional cycling. The Women’s Tour of Britain–the country’s first stage race for women–saw upwards of 10,000 spectators lining the streets for some stages. A.S.O., the company behind the Tour de France put on La Course, a one day women’s circuit race in Paris that coincided with the final stage of the Tour. Races such as BC Superweek and the US National Road Championships started offering equal prize money for the first time. But though these steps towards equality are important and signify a little bit of progress in professional cycling, they are the exception not the rule. Prize money is still often wildly unequal. According to journalist Lee Rodgers, 2013 Omloop Het Nieuwsblad women’s winner Tiffany Cromwell won just 270 euro while her male counterpart Luca Paolini won over 65,000 euro. The 2013 Giro d’Italia winner Vincenzo Nibali netted 90,000 euro. Giro Rosa champ Mara Abbot earned 450 euro. A one day circuit race ending on the Champs Elysees is better than nothing, but it’s certainly not equivalent to three weeks of the world’s highest profile racing. Luckily the cycling world is starting to open its eyes to inequality. Perhaps as important as 2014’s big races and sometimes-equal prize money, the conversation around inequality in professional cycling was elevated further into the mainstream than ever before. And Kathryn Bertine helped make it happen. The former journalist and current professional road cyclist combined her passions for storytelling and sport with her documentary Half The Road. The film documents the vast disparities between men’s and women’s pro cycling through interviews with the top women in the sport and the top decision makers in cycling’s governing body. It played to sold out theaters around the country this year and helped spark broad conversation about the subject. I spoke with Bertine about making Half The Road, the struggles for equality in cycling, the path to gender parity, her careers as a journalist and professional racer, and much more.